The information provided is not complete enough to answer definitively. I have not seen the home or items in question. This is a question that can best be answered with another question. If you answer the questions below in the checklist, your answer will become apparent. Reader Question: I am selling my deceased parents home. Should I dispose of items such as the refrigerator, chest freezer and professionally installed gas heating stove before showing the home? Is it better if they would be included in the sale? Mike T.
Monty’s Answer: Hello Mike, and thanks for your question. The information provided is not complete enough to answer definitively. I have not seen the home or items in question. This is a question that can best be answered with another question. If you answer the questions below in the checklist, your answer will become apparent. The main factor to determine is; if the items are included or removed from the home, would it affect the ultimate sale price either way? If the answer does not appear, it is a question that your real estate agent can answer. Different real estate agents may look at the home and have conflicting opinions. Different buyers may also react differently. 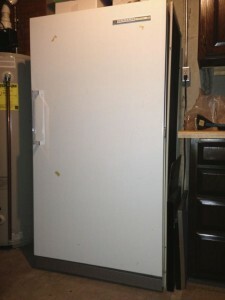 Someone who has never owned a freezer may be excited where another person may never have owned one for a reason. 1. Will the room in which the item is located appear larger if the item is removed? 2. Is the item 50 years old or older? Check for any collectible value if it is. 3. Is the item in working condition where all the features are operable? 4. When opened, are all the internal lights working and the interiors bright and fresh? 5. Do most people have this item in their homes? 6. In what price range will the home sell? (As the price range goes higher, the appeal factor of these extras diminishes). 7. Is the item difficult or expensive to remove? 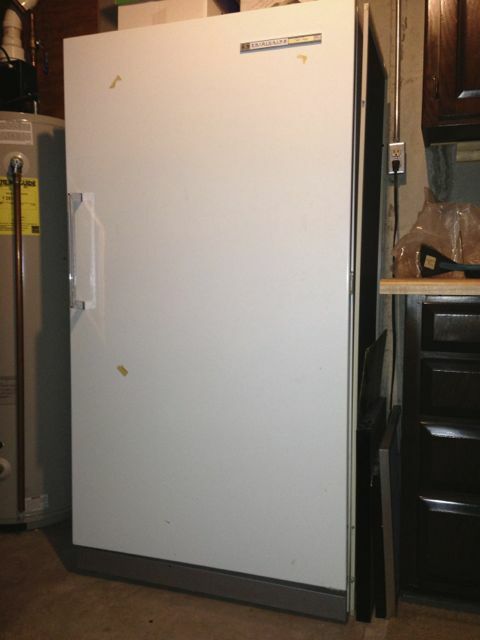 A freezer in the basement with a noisy motor and a narrow stairway or door may be seen as a drawback to a buyer who has to remove it. 8. What will it cost to replace the item? 9. What is a used item like this selling for if shopping to find one today? 10. What is the age and condition of the home? 11. Is the item built-in? If it is built-in will it leave an obvious void to someone that has not seen the home? 12. Is the item nicked, scratched or dented? Are all the seals all in good condition? Is the finish still bright? There could be more questions, but this is a good list to review for most items. If other considerations appear add them to the list in the form of a question. The purpose of the “professionally installed gas-heating stove” is unclear. If it is an auxiliary furnace in the kitchen, does it perform as intended? Does one cook food in it? Is there an alternate stove to bake or broil food? Does it add to the ambience of the room? Is it in the kitchen? Does it take the place of a typical furnace? There have been a number of “gadgets” that were sold over the years that are of questionable value or now out of fashion. Consider asking a reputable heating contractor to look at it and render an opinion. Dear Monty recommends completing a home inspection before placing the home on the market whether there is an item like described in the home, or not. The home inspector will have an opinion as to the usefulness of the heating stove. To stay, or not to stay.. In the state approved forms there is a definition for the word “fixtures.” Be careful not to remove them. Also, many states have contract language about leaving non-fixture items the buyer did not negotiate to retain. If it is not a fixture, and it is not included in the contract, be sure to take it. I hope this information is helpful, Mike. Ask if there are other questions.